The problem with booking any UK based weekend trip well in advance is that you are entirely dependent upon the great British weather. 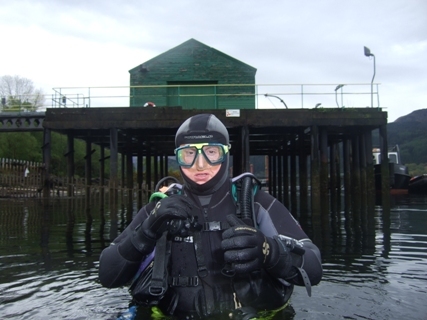 In recent years the May Scoutscroft weekend organised by Durham city divers has had something of an unlucky record when it has come to good diving weather. Would this year trip be any different? It was with some anxiety that the meteorological forecast was followed in the run-up to the chosen weekend. Unfortunately the omens were not good! On Friday the dive party assembled at the caravans at Scoutscroft. It was soon very evident however that there would be no diving out of St Abbs due to the poor sea state. What to do? 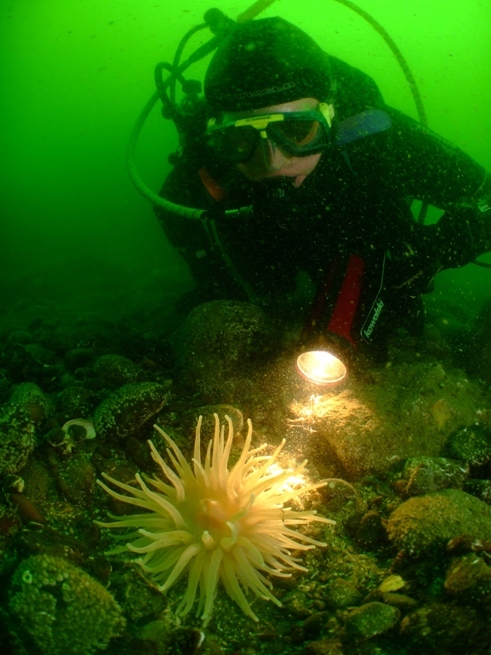 After considering the various options, the decision was made to make the journey across Scotland to the shores of Loch Long on the West coast of Scotland to do some shore diving. The following morning we headed across the Borders and eventually assembled in the parking area near to be oil refinery on the shore of Loch Long, a few miles north of GailLochhead. This site benefits from reasonable access to the water across a pebble beach. 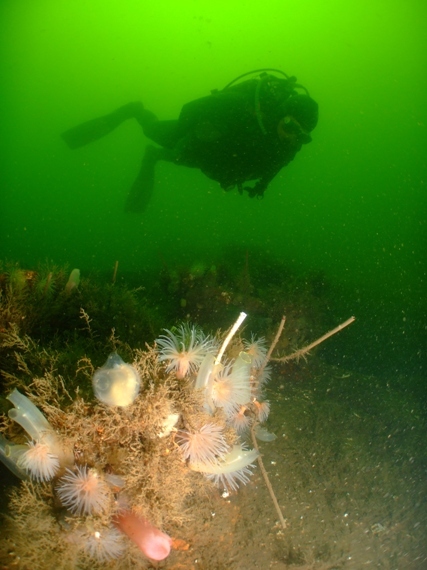 The main dive site is on the remains of an old collapsed concrete pier which was once part of the refinery port. The seabed off the Loch is soft and easily stirred up. 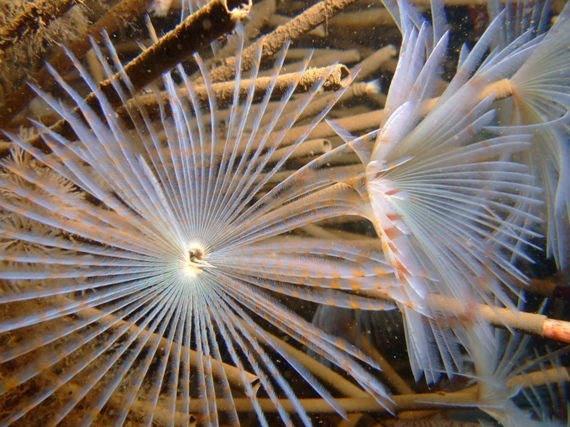 Nevertheless this sea loch has a lot to offer in terms of Marine life. 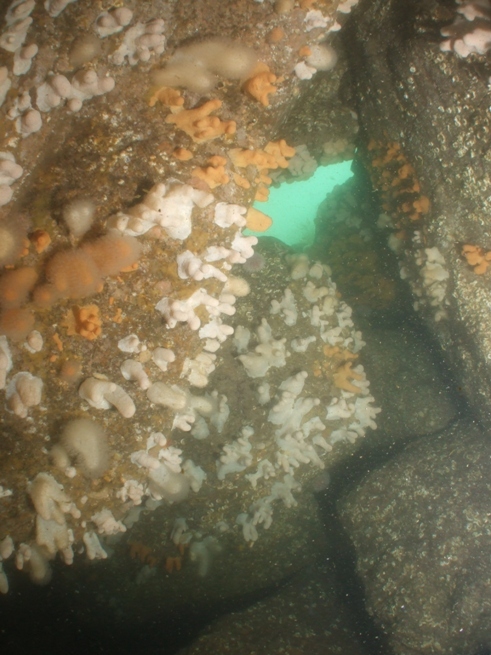 Beautiful anemones cling to the remains of the concrete pier along with peacock worms and numerous hermit crabs. 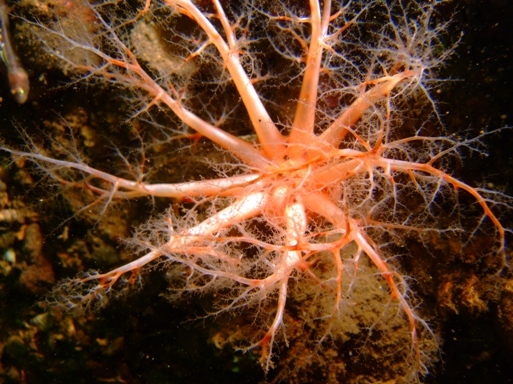 We even came across the billowing tentacles of sea cucumbers poking out of the silt . Underwater visibility was a reasonable 5 metres. Most of the group completed two shore dives before heading back to Scoutscroft for a curry culinary evening cooked by Richard Smith, master chef! Next morning the sea state had improved to the point that boat diving around at Petticowick bay was a viable option. Nevertheless everyone enjoyed the dive. Later in the afternoon we returned to Petticowick for a second dive, this time along the southern most shoreline of the bay. There are some nice little walls and caves that are to found along this stretch of shoreline. Underwater visibility also seemed to have started to improve on the earlier morning dive. On both dives however the ride out to Petticowick from St Abbs proved to be quite a rough ride although well worth the effort. 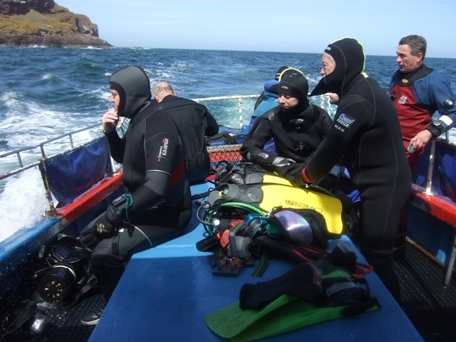 At the end of the weekend, despite the poor weather and swell, most participants had enjoyed 4 dives, including 2 shore dives on the West coast of Scotland , and 2 boat dives out of St Abbs.  Just as important however, Scoutscroft had again provided a great social experience for all who made the effort to attend. Many thanks to Dave Hyde and Peter Freeman for organising the weekend.